I always thought that I was supposed to try to be perfect. It turns out I was wrong. We are already perfect the way we are. How awesome is that? This song is a reminder that we are perfectly imperfect as we are. You don’t have to try to be perfect anymore. Perfect: The New Single From Chris Swan! I always thought that I was suppose to try to be perfect. Have you ever stopped and thought about the people you hang out with? Are they people who believe in you and lift you up? Or are they people who believe life is meant to be miserable and are constantly tearing you down? The people we let influence us is a crucial part of living a happy life. Make sure you surround yourself with the right people. Get your free download of Influence right here! This song also features a very talented hip-hop artist from St. Louis. His name is Jarmel Reece. If you don't know this guy yet, you are going to love him! Click here or on the picture to get a FREE download of Influence! Influence (feat. Jarmel Reece): The New Single From Chris Swan! Click here to pre-save "Influence" on Spotify! The Mess Around Is Here! The Mess Around is a song about living a sober life in an alcoholic world. I quit drinking 2.5 years ago, but some people still want me to be part of the party. This is a song for all former drinkers as a declaration to the pushers that we don't mess around anymore. We got things to do. This song also features a very talented singer/songwriter from St. Louis. Her name is Chela Mancuso and she is awesome! Click here or on the picture to get a FREE download of The Mess Around! I have been a big dude my whole life. And as I get older, it has started to cause more and more pain in my life. Physical and emotional. My song "Pain" is dedicated to all the people who have had this struggle in their life. We know we need to change, but we just can't seem to do it. We know we are killing ourselves, but that still doesn't seem to be enough. I am here to tell you that you can change. It's closer than you think. Click here or on the picture to get a FREE download of Pain! 'Cuz I will not be confined to this life of pain." Click here to pre-save "pain" on Spotify! Creed and Vision Is Here! I have struggled with being confident and I use to overcompensate by tearing myself down. My song "Creed and Vision" is a hip-hop mantra that we can all say to ourselves daily to remind us we need to be confident AND humble every day. And despite what I use to think, it is possible and even necessary to be both to become the people we were created to be. Click here or on the picture to get a FREE download of Creed and Vision! It's ok to know our weakness. 'Cuz if one shines, we all shine longer." Life is stressful. People are tense. The political climate in our country is volatile. And I don't think I have ever seen so much division in our country as I do now. And if you aren't careful, you can be easily swept up in this ball of stress and start to believe the world is doomed. But I am here to tell you that hope is alive and well. Click here or on the picture to get a FREE download of H.O.P.E.! New Singles From Chris Swan Every Month! Yep, you heard that right. Starting May 1 2018, I will be releasing a new single every month up until the release of my new album in November. Oh yea, I have a new album coming out in November! I'm so excited for you to hear it. It's all about the simple joys and complex heartaches that we all go through in life. This album is me talking to you about the struggles I have as well as the moments of victory. I want you to know you are not alone. And I want you to know that there is always H.O.P.E.! I know you will find peace, comfort and encouragement in these songs just like I do. And with the power of music on your side, you are destined to live the amazing life you deserve! Click here to get a free single from Chris Swan's last album! Human Beat Vol. 1 Is Here! It's here! 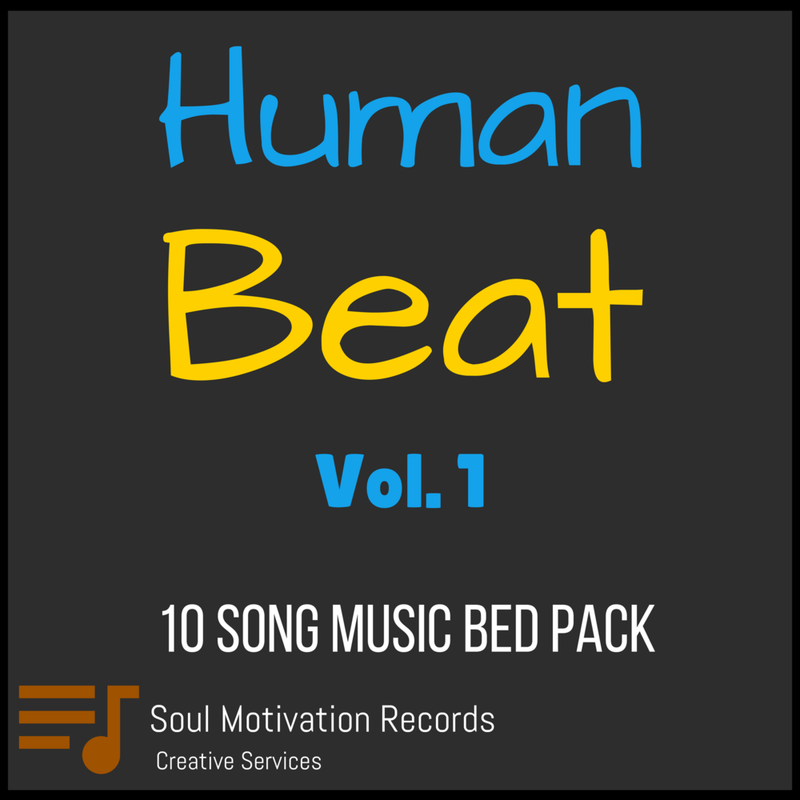 Our second 10 Song Music Bed Pack titled Human Beat Vol. 1! Human Beat Vol. 1 is a digital pack of 10 music beds using hip-hop style beat production along with melodies and harmonies that evoke in us all the emotions that make us human. This collection comes with an unlimited, non-exclusive license agreement. What does that mean? It means you can use these songs on your next video, podcast episode, or anything else you want and you can use it as much, as often and as long as you want! No limitations! Click Here To Take A Listen! Got a chance to hang with some cool cats on the City Jazz Sessions Podcast. We walk music, motivation and even play a couple tunes live! Click below to check out the Facebook Live video! I have been working hard on figuring out the best way I can serve those in the business of media creation. I know these people need music, but there are so many sources of royalty-free music now. How can I do something that is different and better than the generic stock music websites so many people turn to? The answer is my 10 Song Music Bed Packs! Mellow Bounce Vol. 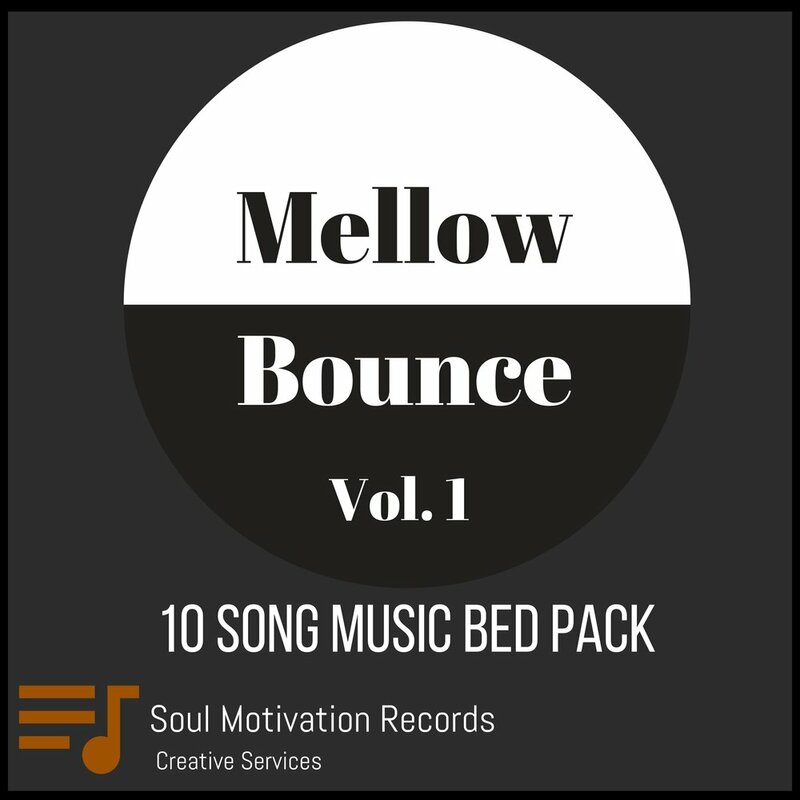 1 is a digital pack of 10 music beds in a mellow or bouncy groove style. This collection comes with an unlimited, non-exclusive license agreement. What does that mean? It means you can use these songs on your next video, podcast episode, or anything else you want and you can use it as much, as often and as long as you want! No limitations! I love creating music beds! I spend a lot of time researching what music the best of the best are using in their projects and I make sure mine are even better! Then, it's just so much fun to come up with different beats and melody ideas. I just know you are going to get a lot of mileage out of this song pack! Click Here To Learn More About Mellow Bounce Vol. 1!! Glossy Soul's "Music to Succeed To" is now in iTunes and Spotify! Hey everybody! I am super excited to announce that Glossy Soul's "Music To Succeed To" is now on iTunes and Spotify! You can purchase your copy on iTunes and stream it all day long on Spotify! Click one of the buttons below to take a listen! Glossy Soul T-shirts Are Here! They are here and they look awesome! Just hit play below to check out the unboxing video of our very first Glossy Soul t-shirts! Get Your Very Own Glossy Soul T-shirt Here! Glossy Soul's "Music To Succeed To" is Here! Glossy Soul's "Music To Succeed To"
I had such a blast making this record. I have wanted to make a smooth jazz record for years! This album is what I call "Hip-hop Piano Jazz," which is just my term for smooth jazz piano music, but with a little more of a hip-hop production style. It is head-bobbing funky grooves with pretty piano melodies on top. It's catchy and fun, but also designed to evoke emotions in us that inspire us and encourage us to do amazing things in our lives! I think you will have as much fun listening to as I did making this record. Also, if you want to listen to some of the tunes off the album before buying it, you will get a chance to do that before making a purchase! So I hope you will click the "Buy Now" button below and check out Glossy Soul's "Music To Succeed To" today! Come See What Is Your Soul Motivation? LIVE! A little over 4 months after its release, I will be performing the songs off of my EP "What Is Your Soul Motivation?" on October 15th, 2017 at Foam, a club here in St. Louis, MO! I am really excited for the opportunity to finally perform these songs live. I will be doing most of the songs off the album as well as a couple choice covers you won't want to miss! A big thanks to my friend Rick Kilian for putting this show together! If you have never heard Rick's music, you need to come October 15th and check it out. It's exciting, piano-driven pop/rock. If you dig Ben Folds or Elton John, you need to hear Rick's music. We will also be joined by another great St. Louis musician - Jason Nelson and his band. It's going to be a great night of music! The best news is it is a FREE SHOW! Who does that, right?! We do! It is also an all ages show. So you have no excuse. Come on down October 15th and hang with us at Foam! The show starts at 8 pm.